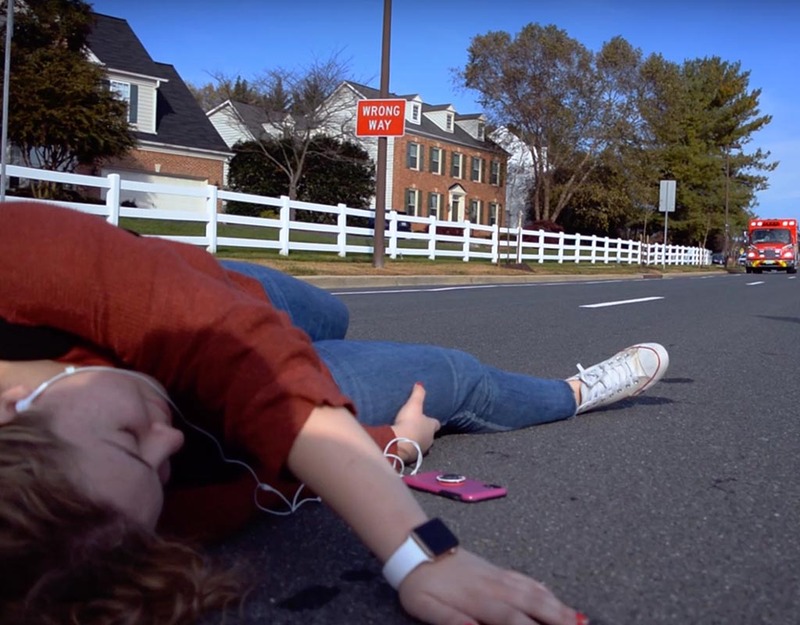 Northwest High School students teamed up with Montgomery County Police, Montgomery County Fire & Rescue Services, and Holy Cross Germantown Hospital to produce a public service announcement about pedestrian safety. The video, which was directed by students Rishabh Karanth and Logan Loewenstien, features a student walking to school. As she’s walking through Germantown, she receives a text, which she opens as she crosses the street. The video shows the consequences that can occur when pedestrians are distracted as they walk. Officer Wesley Allen, a school resource officer at Northwest High. Officer Marcus Dixon, a Germantown community service officer. Lilly Greenlee, a media service technician at Northwest.